Reams of research document a clear link between good health and simple physical activities like bicycling. Biking just 30 minutes a day five days a week can cut rates of heart disease, diabetes, Alzheimer’s and colon cancer by 40 percent and has been proven as effective as Prozac in treating depression. This is good news even for people who never bike, because more people on bicycles means lower health care costs for America as a whole. But, wait, there’s more good news?recent data show that communities who invest in bike projects enjoy boosts in economic health, too. Studies from New York City and Portland, Oregon, reveal that local businesses benefit from increased bike traffic. ?Five new businesses decided to open as a result of the trail being built and/or changing location(s) because of their desire to be closer to the trail,? writes researcher Julian A. Reed, a Health Sciences professor at Furman University in Greenville. ?Businesses that relocated observed a 30 to 90 percent increase in sales.? Ty Houck, Director of Greenways for the Greenville Recreation department, notes that data from the report is already being used in a market study helping businesses scout the most successful places to locate. 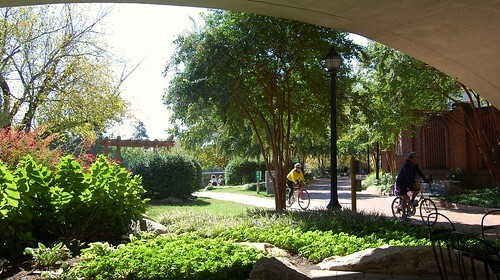 More than 400,000 people used the trail last year, according to the report. Jacqueline Oliver, co-owner of the Swamp Rabbit Grocery and Caf?, credits the trail with helping launch her business. ?We had no advertising at all when we opened, just a sign on the trail. But the first day there we saw a lot of people on bikes. One of our goals had been serving people who want to shop for groceries on bike, and that has actually happened.? She notes that a trailside location boosts the store’s visibility. 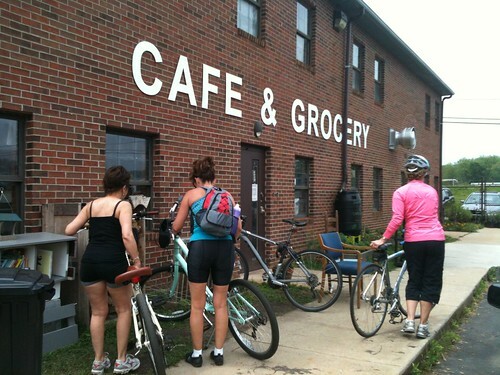 Many customers first discover her business while pedaling past and then come back for grocery shopping or a meal. ?People ask me all the time, how do you get here by car?? In addition to spending money, bicyclists? presence boosts Grocery and Caf?’s appeal as a popular gathering spot. ?The community spirit here is very important to us.? Neighboring business owners feel the same way, Oliver reports. Next door is Greenville Fitness and Rehab, which opened last year to serve trail users and hosted the press conference where the findings of the studies were released. Several bike-related businesses have also moved in. But the trail’s economic impact may be even greater in Travelers Rest, a town of 4000 nine miles north of Greenville. ?It was a sleepy town before the trail came and now it’s vibrant, — Oliver says. 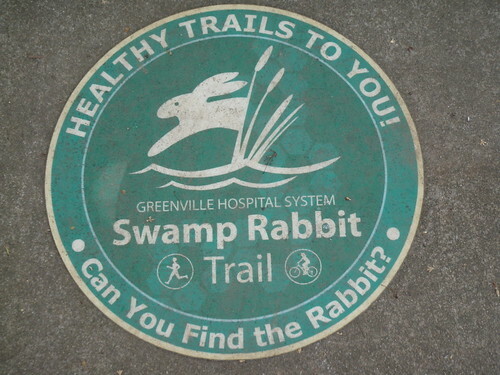 The Swamp Rabbit Trail confirms that the popular expression ?build it and they will come?, coined in the baseball movie Field of Dreams, also applies to bike riders.